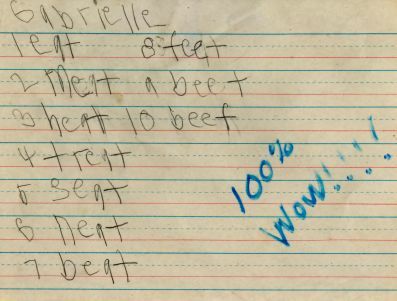 We are very proud of Gabrielle. She has been very good with learning and sounding out words! 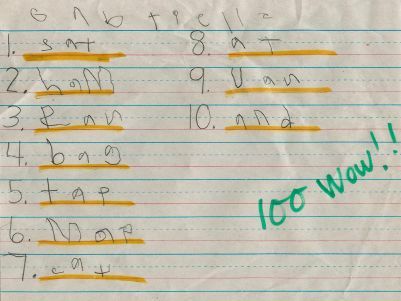 Here are some of her spelling tests so you can see what a good job she does. 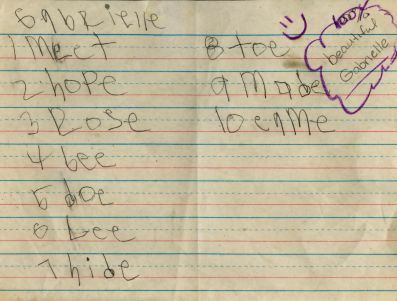 Her writing skills have improved since these test. 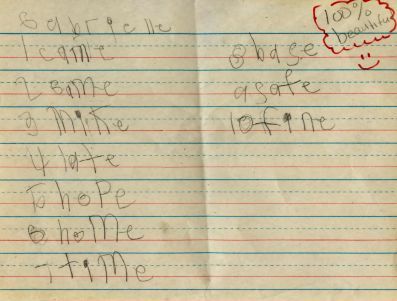 She is spacing words better and her writing is neater.